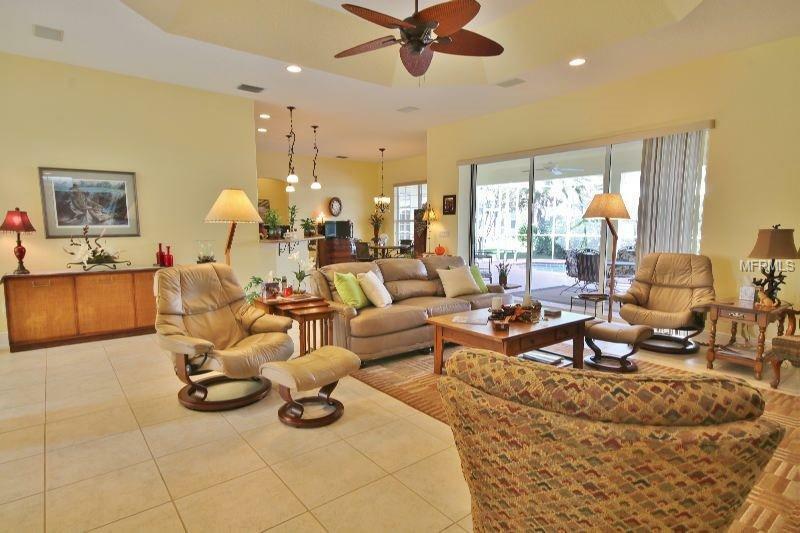 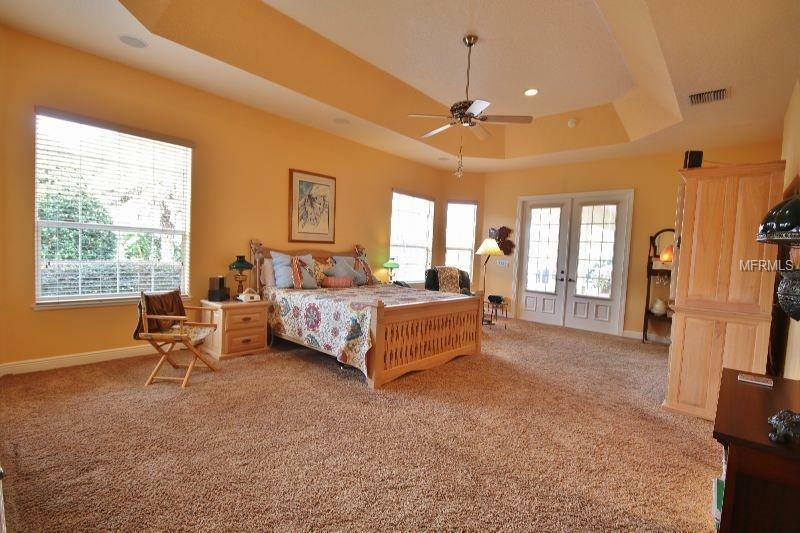 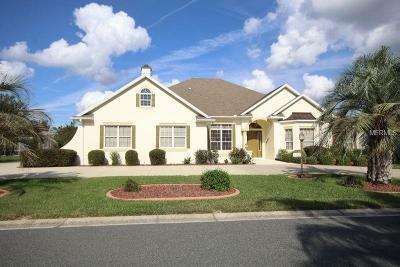 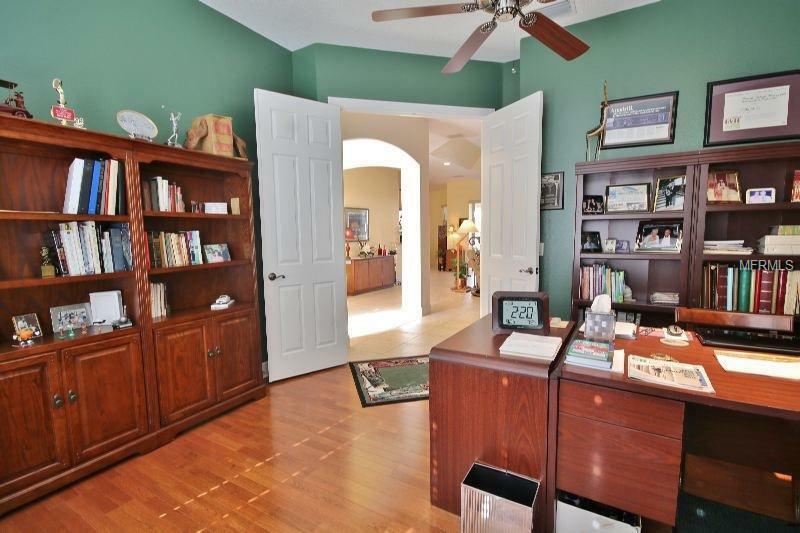 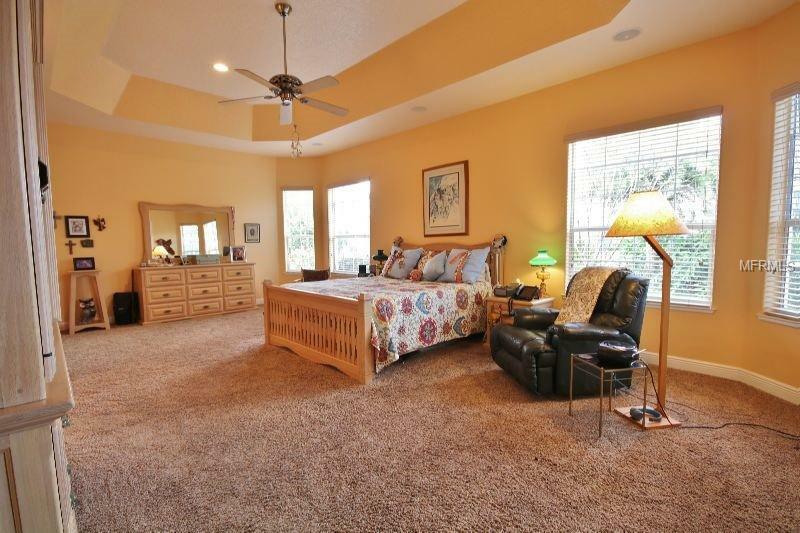 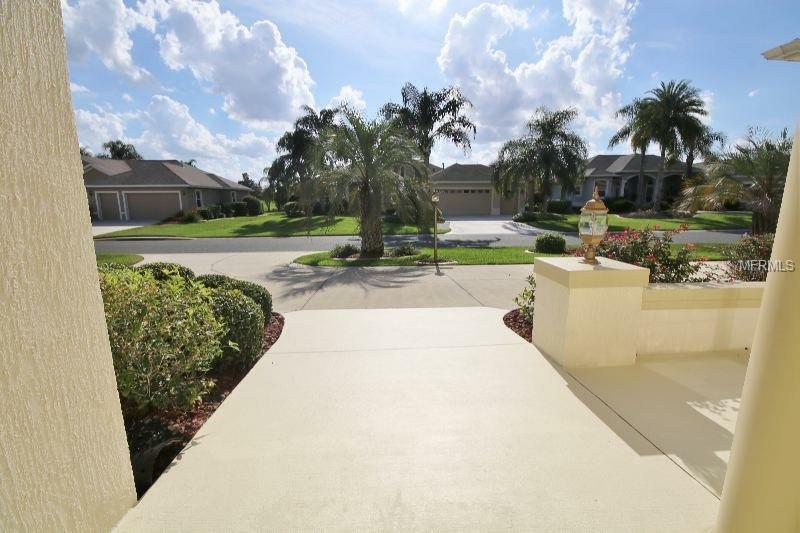 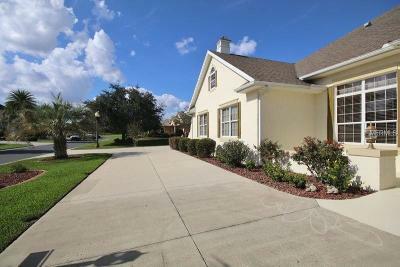 This is truly a one-of-a-kind custom 3 bedroom/3-bathroom home in The Village of Sunset Ridge at Sunset Pointe! 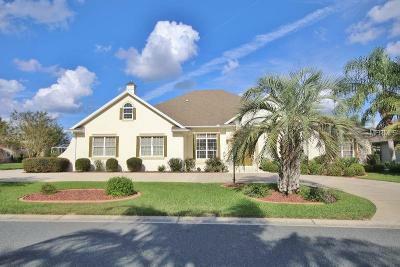 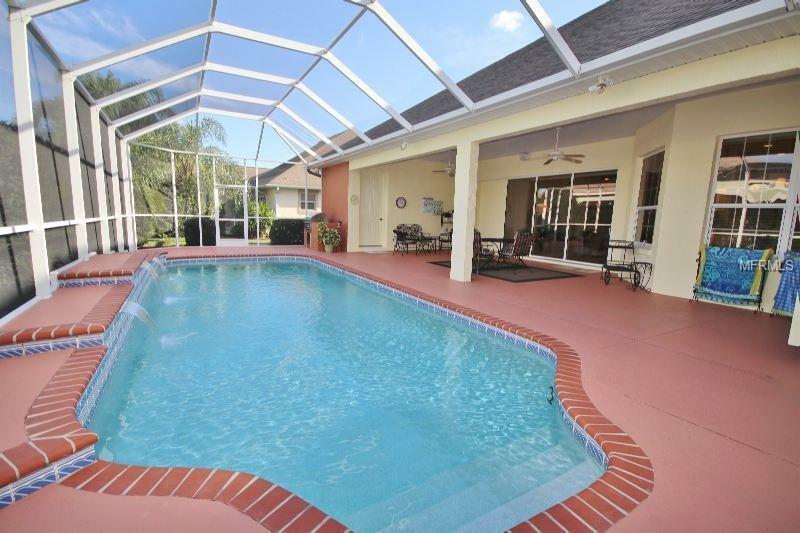 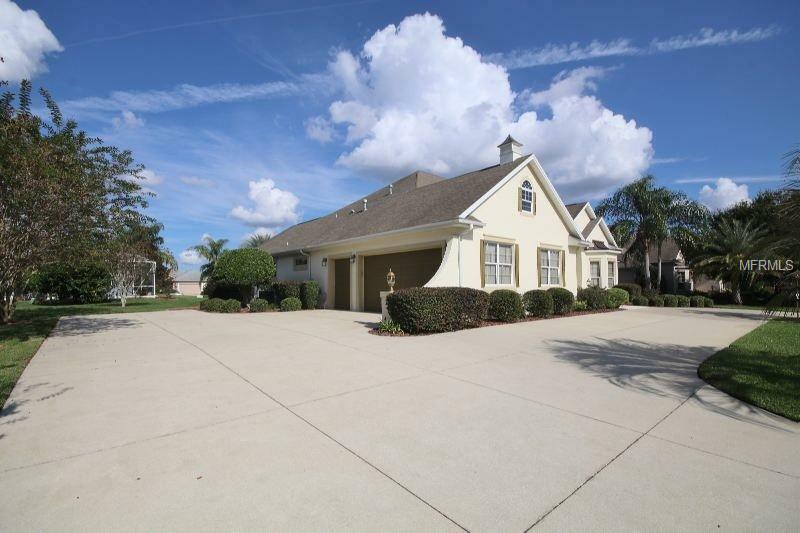 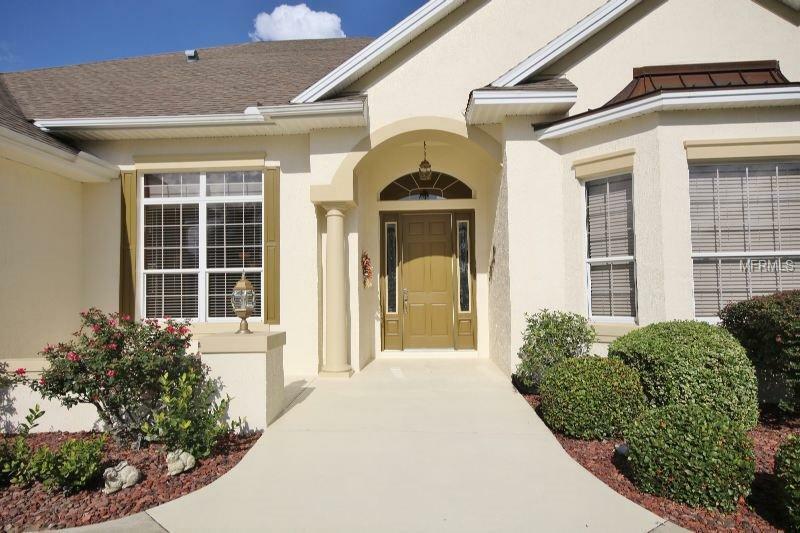 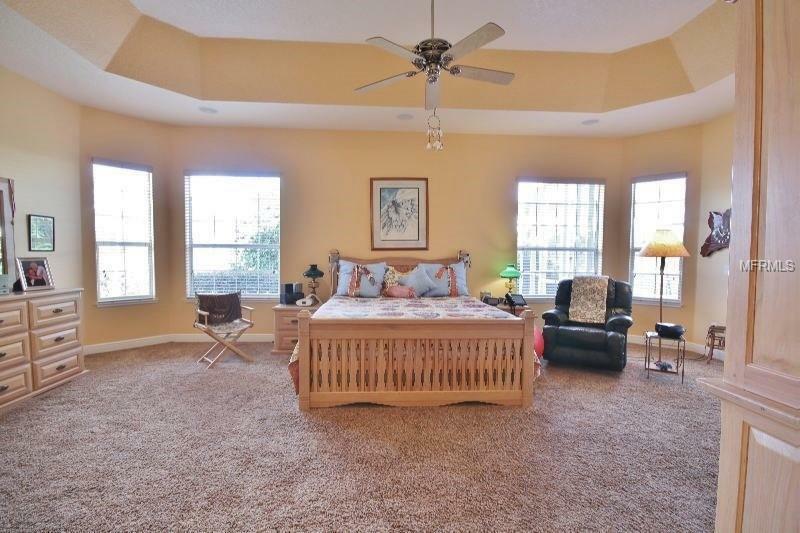 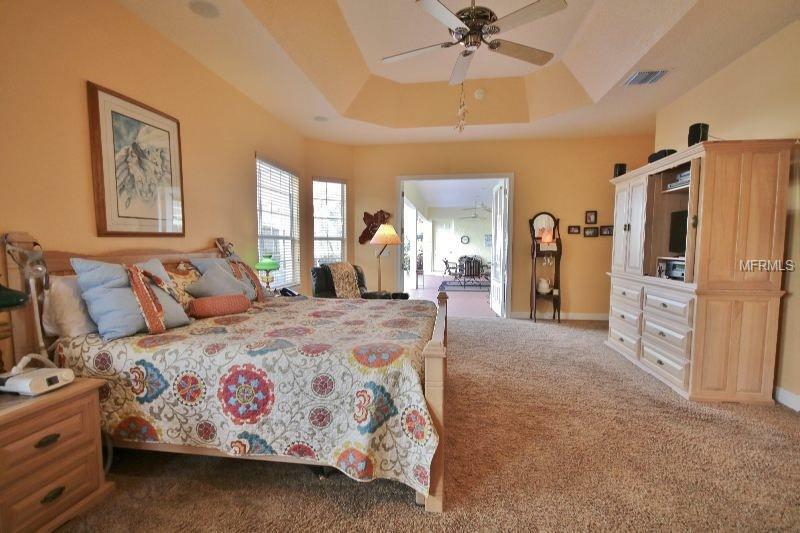 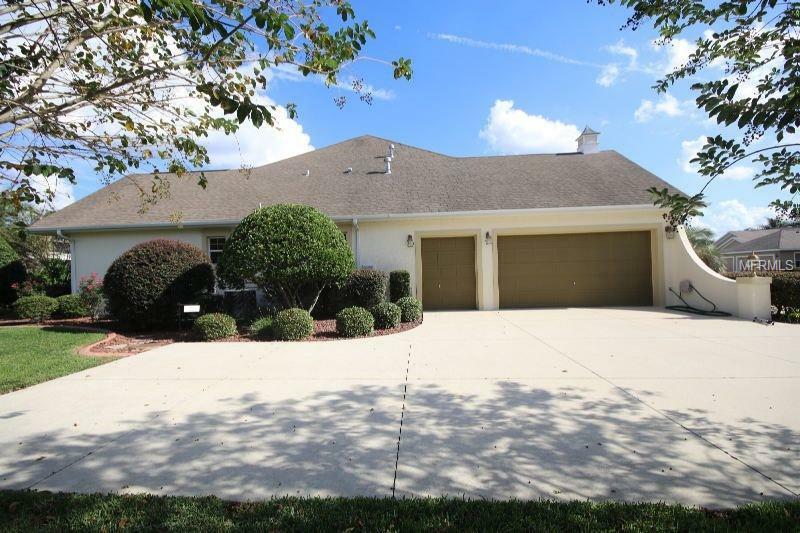 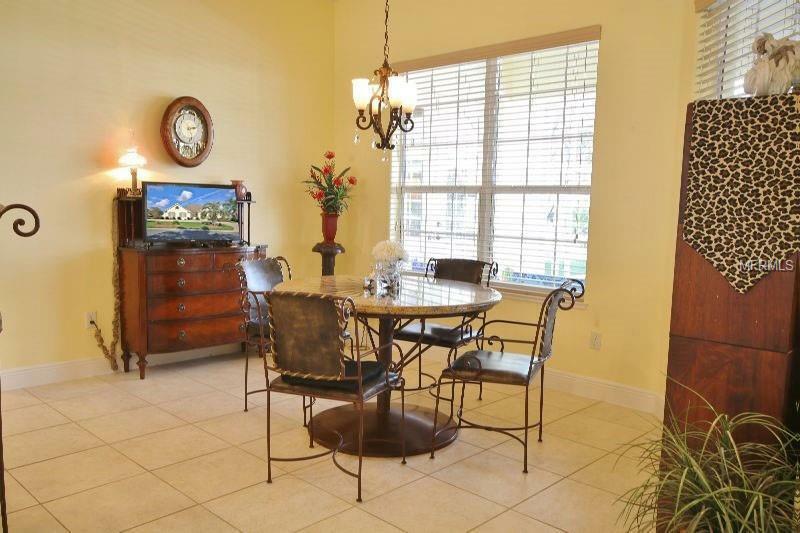 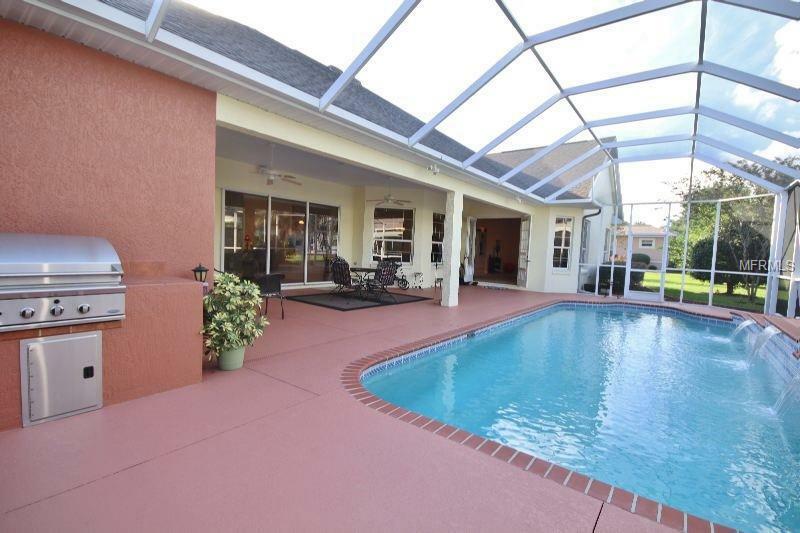 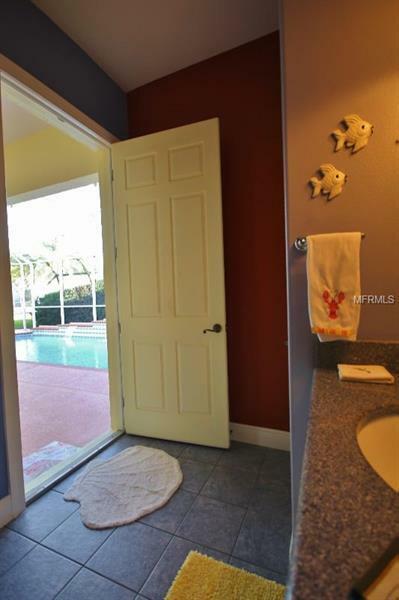 Located in the heart of The Villages between Lake Sumter Landing and Brownwood, this Premier pool home offers the perfect location in the quiet, exclusive community of Sunset Ridge situated directly across from Cane Garden Country Club. 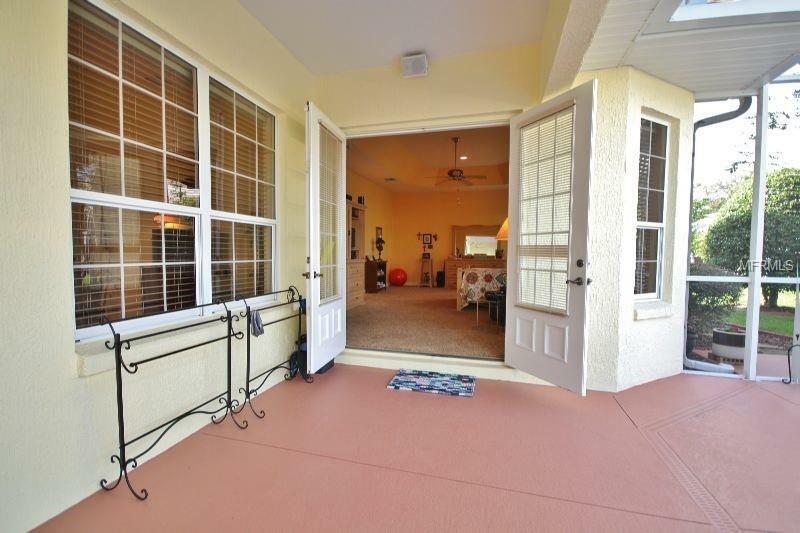 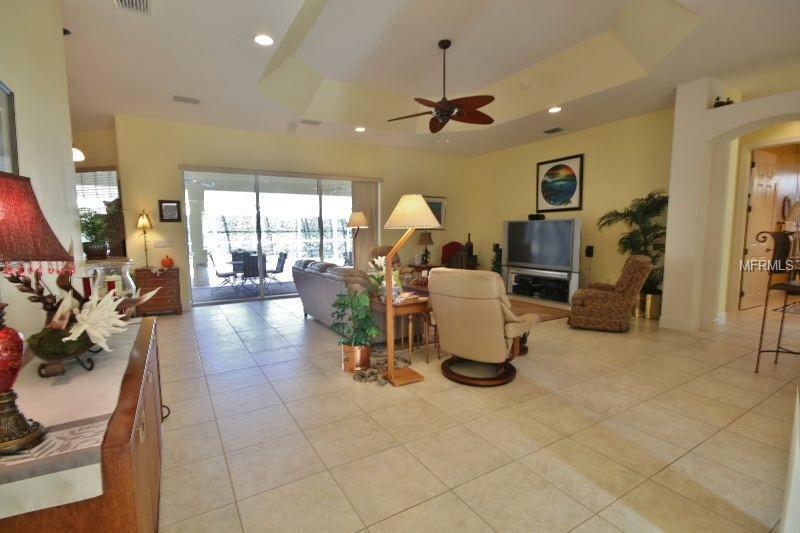 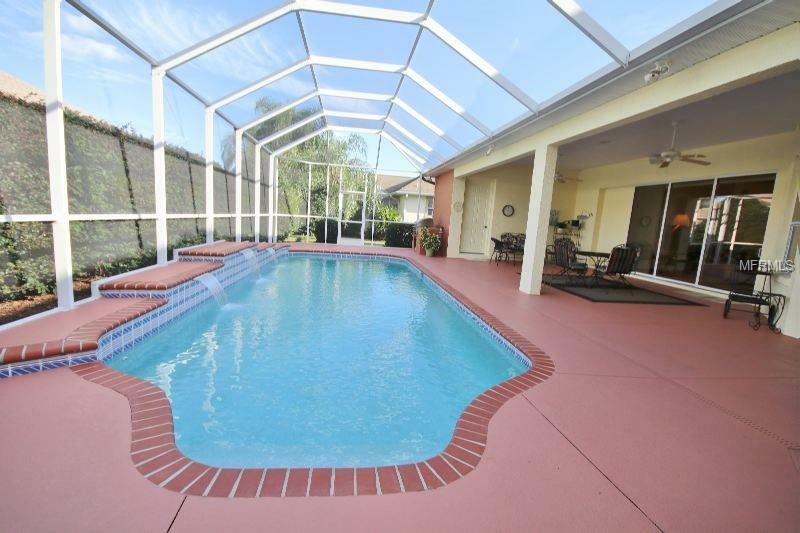 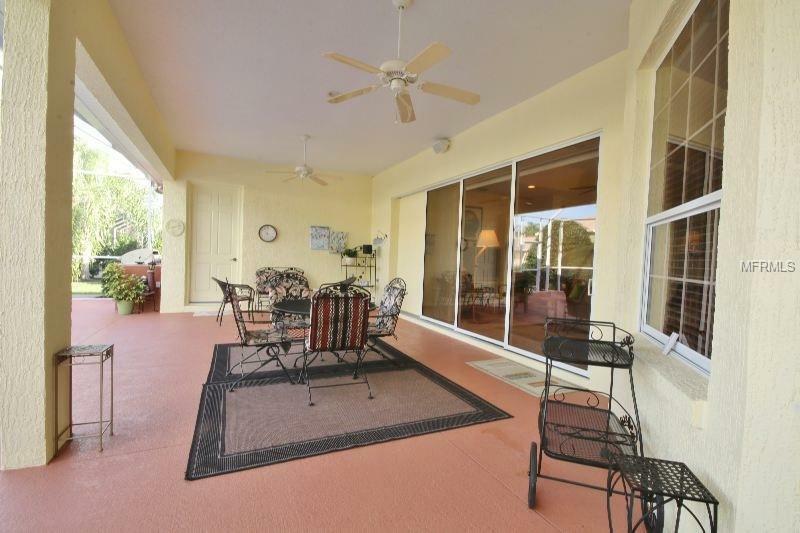 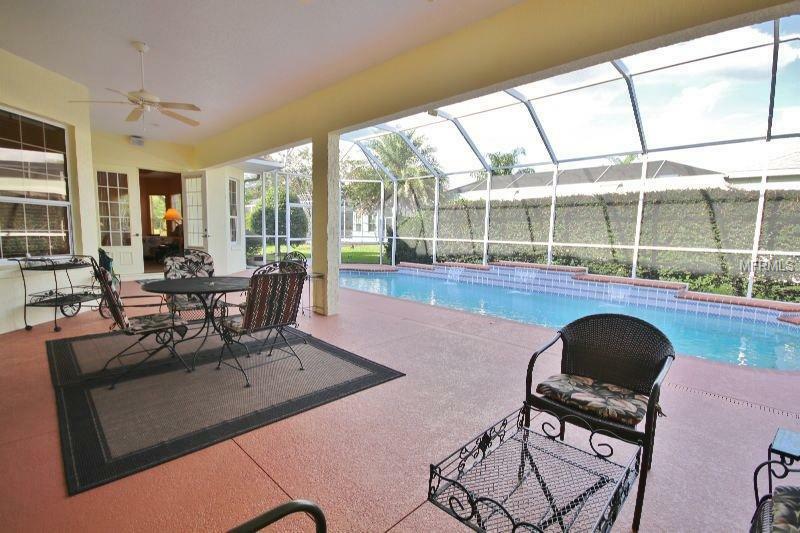 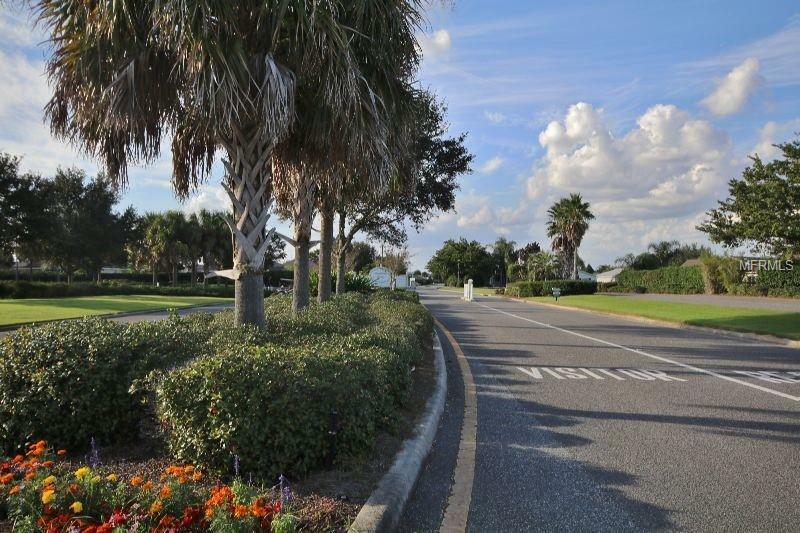 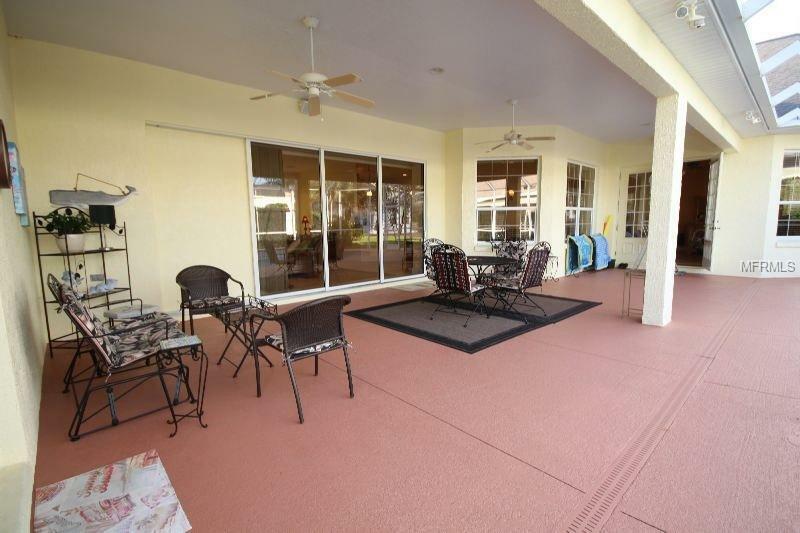 This custom Sanibel home is on an oversized lot with vibrant, full landscaping islands, a circular driveway, and extended screened patio areas with a stunning pool area. 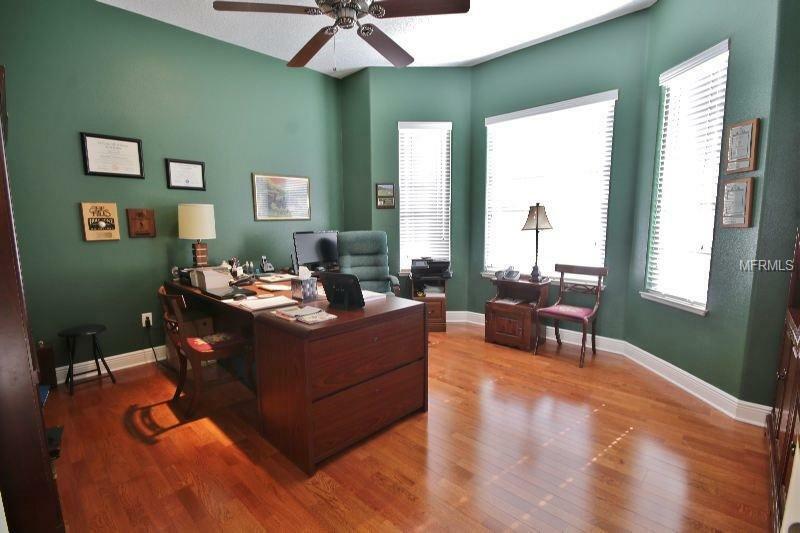 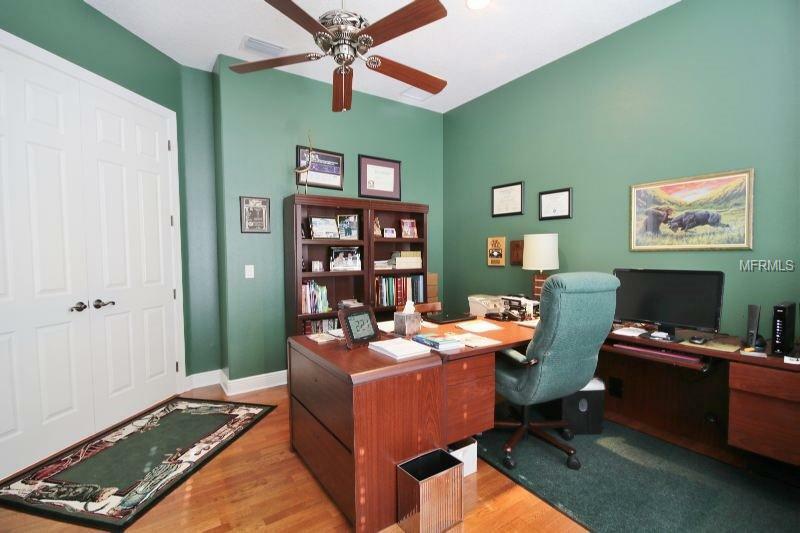 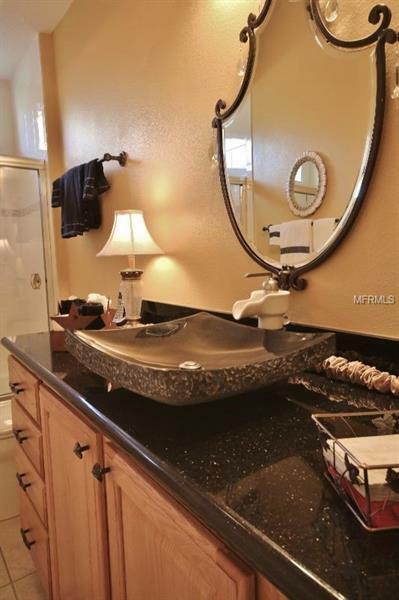 This home has been customized with upgrades you have to experience in order to believe. 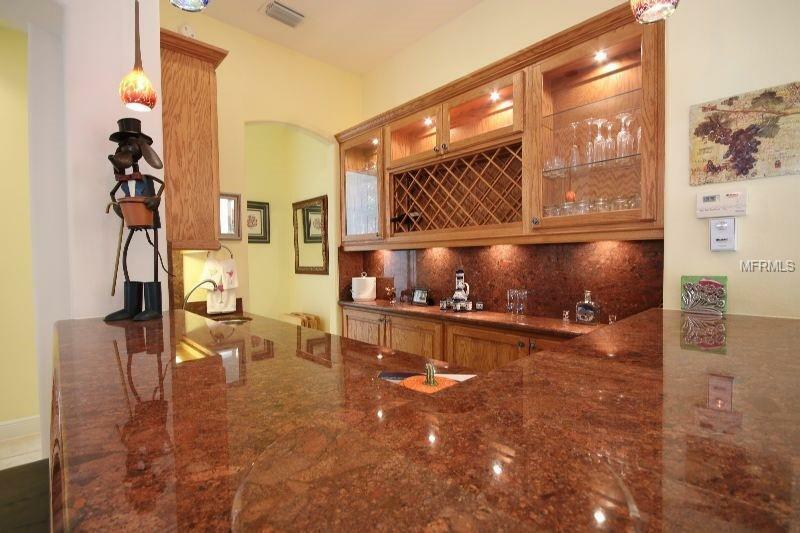 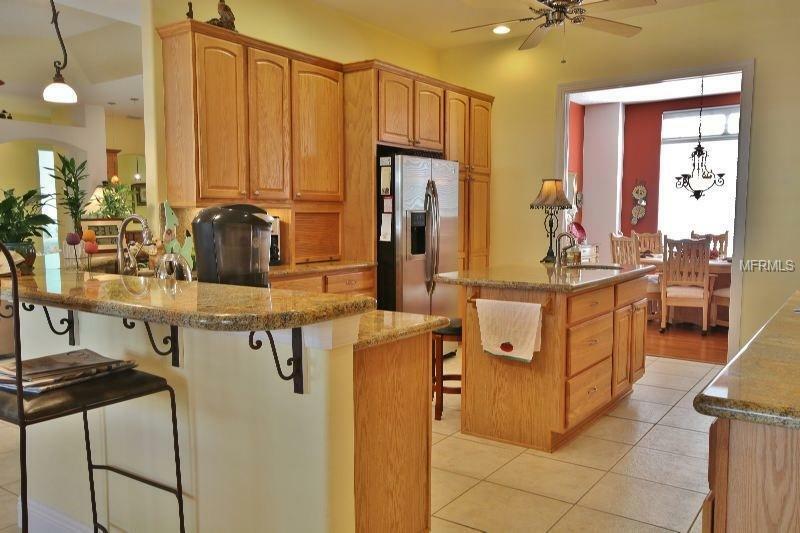 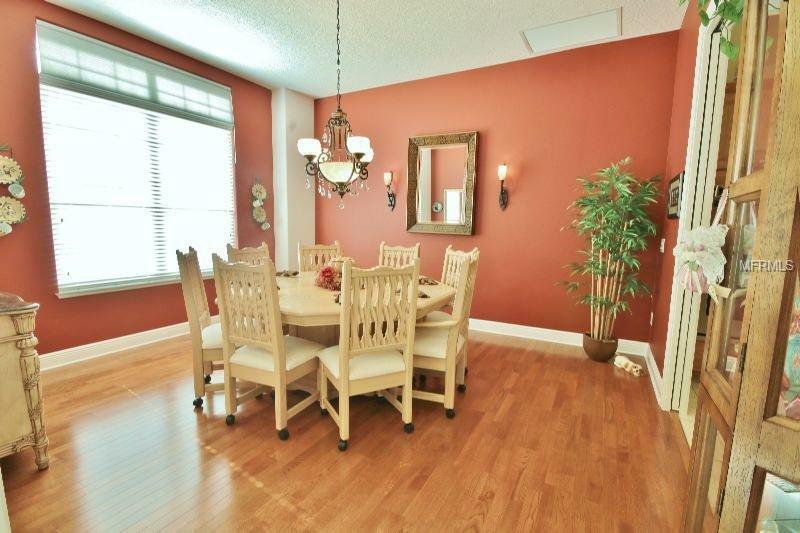 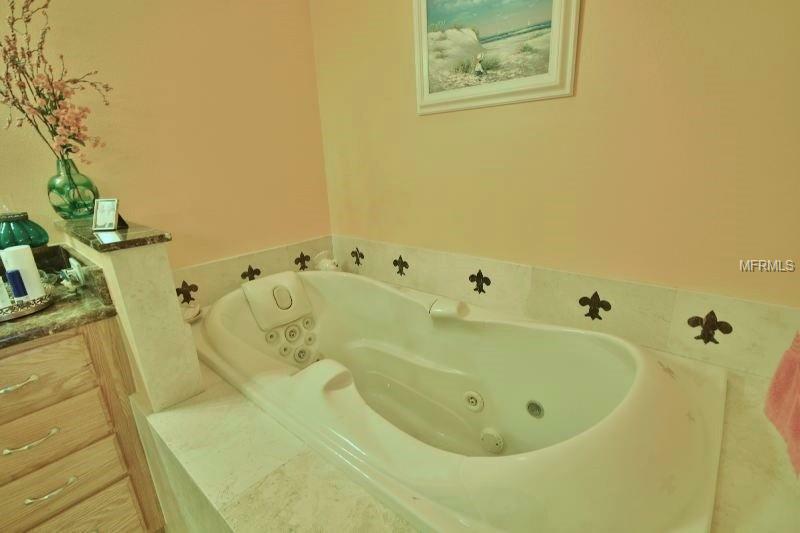 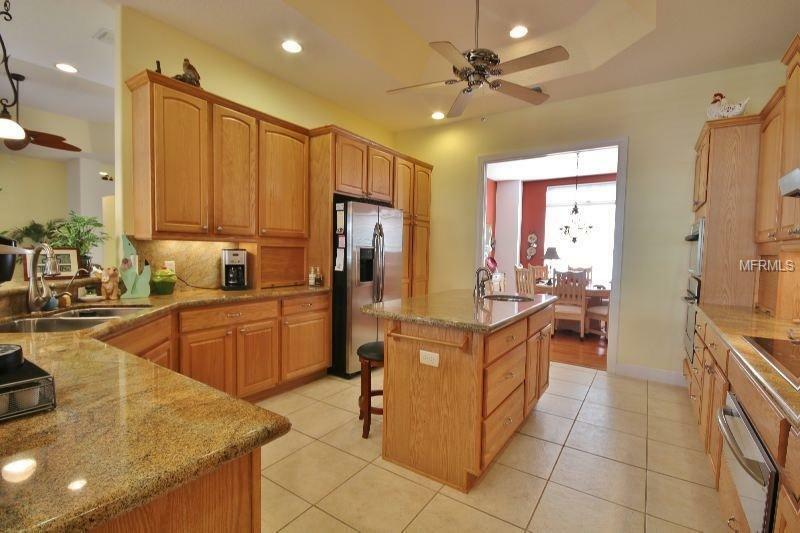 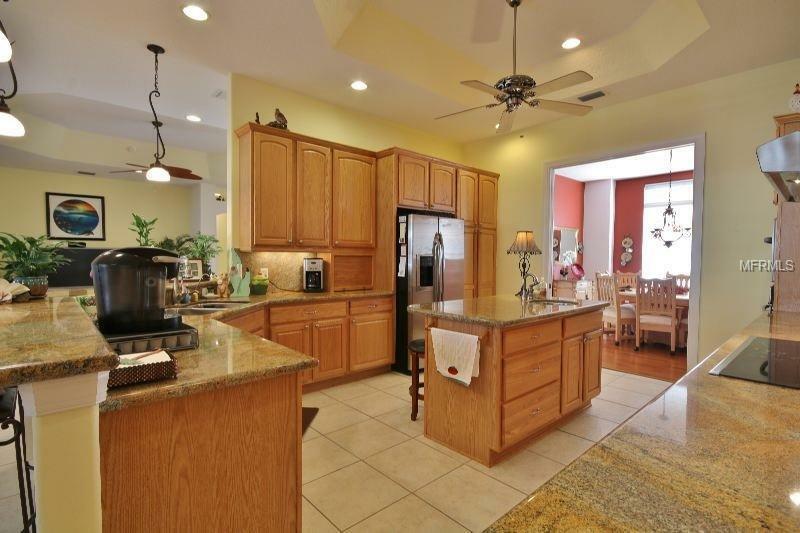 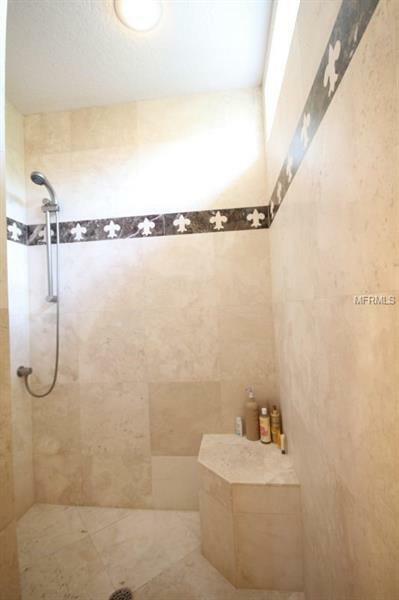 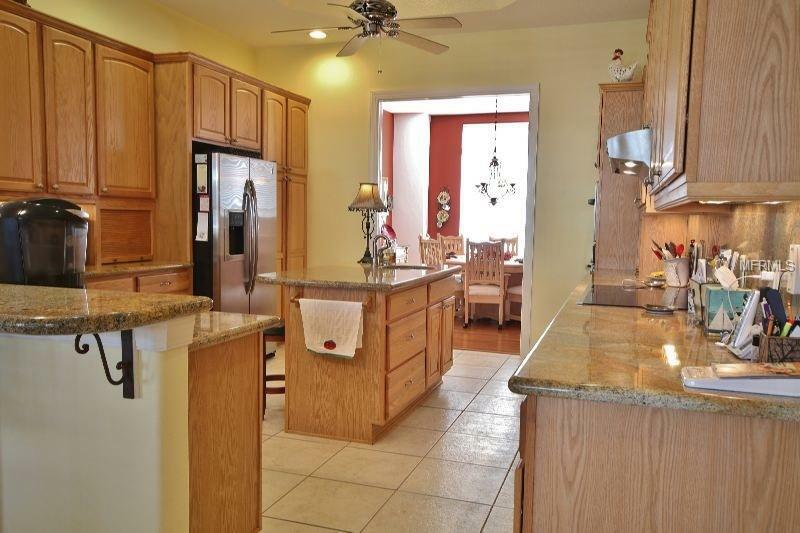 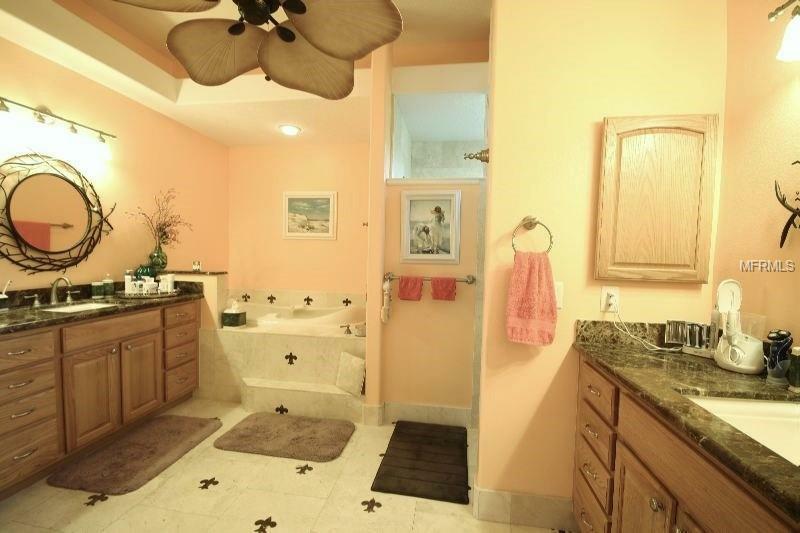 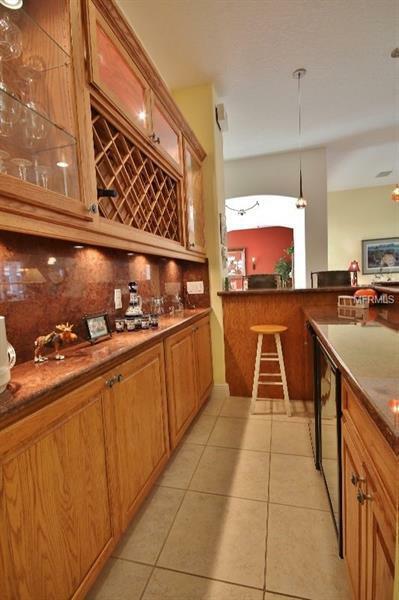 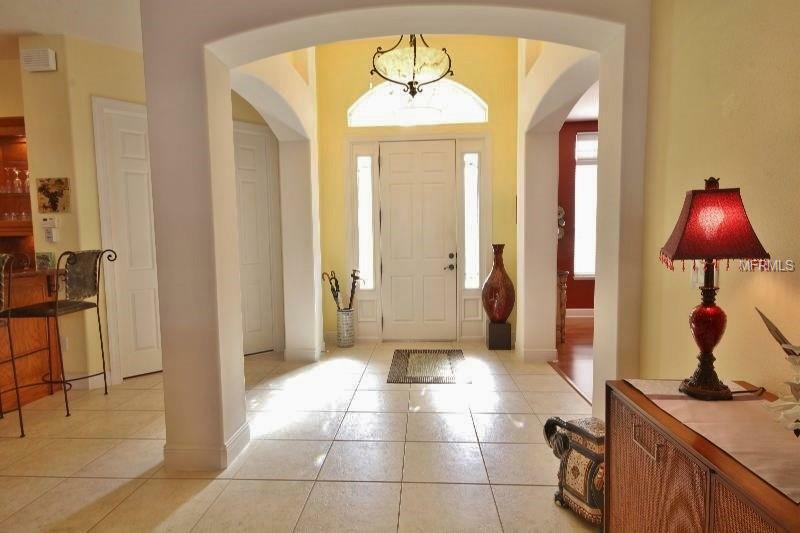 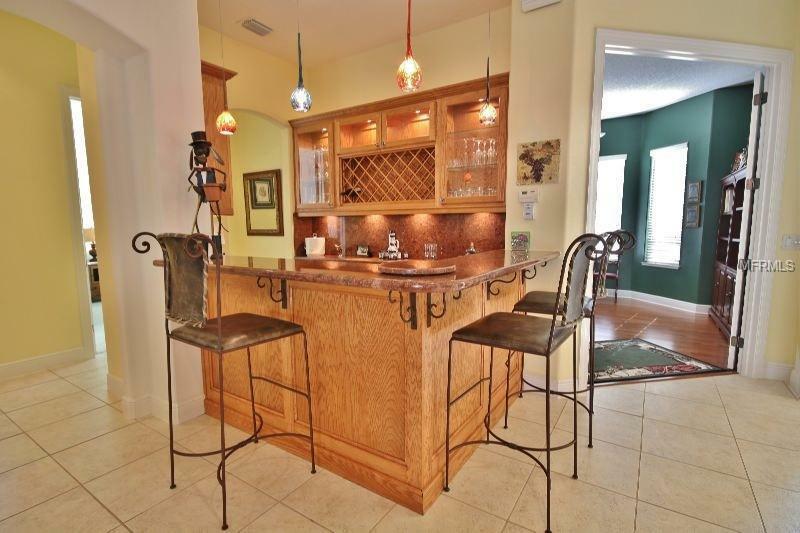 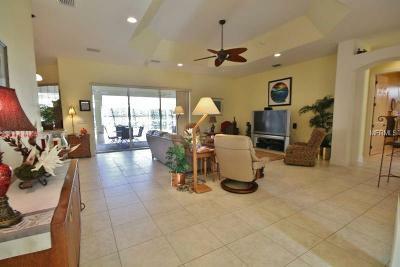 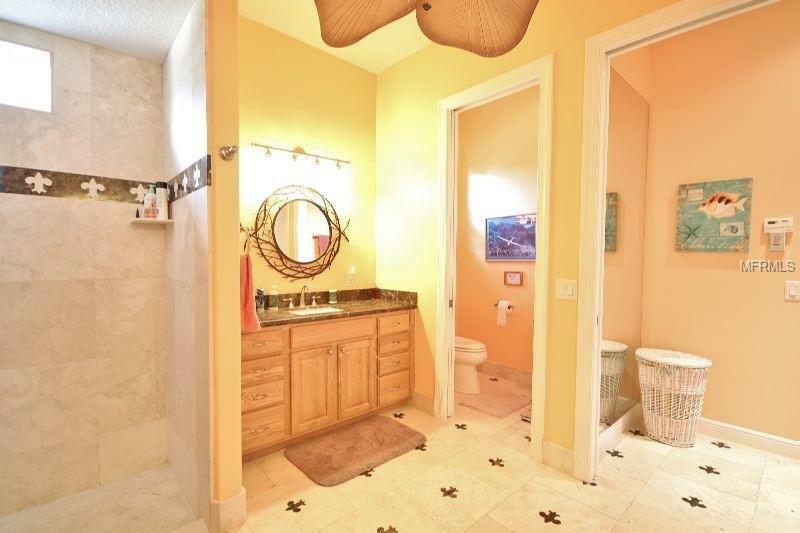 Upgrades include custom wine and bar area and granite countertops throughout the entire home in all wet areas. 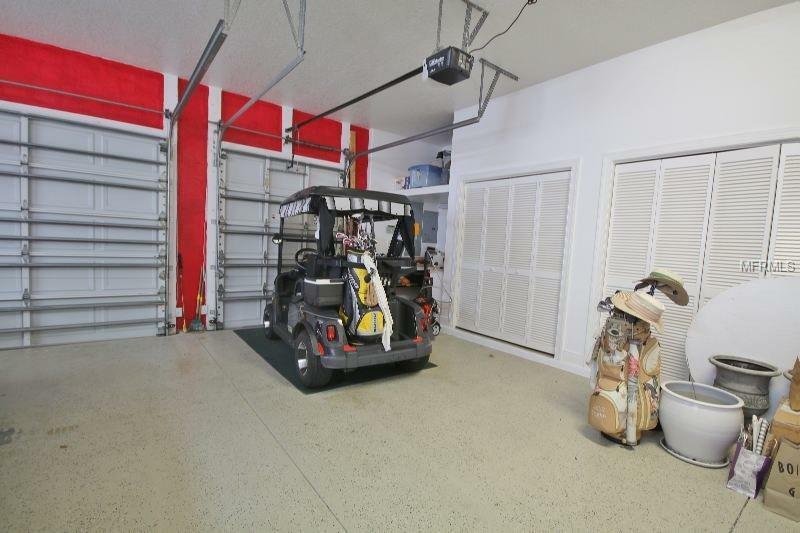 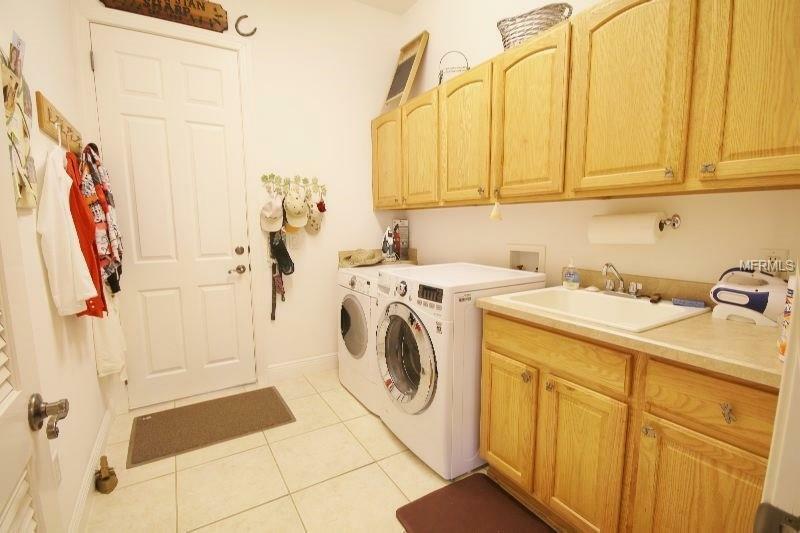 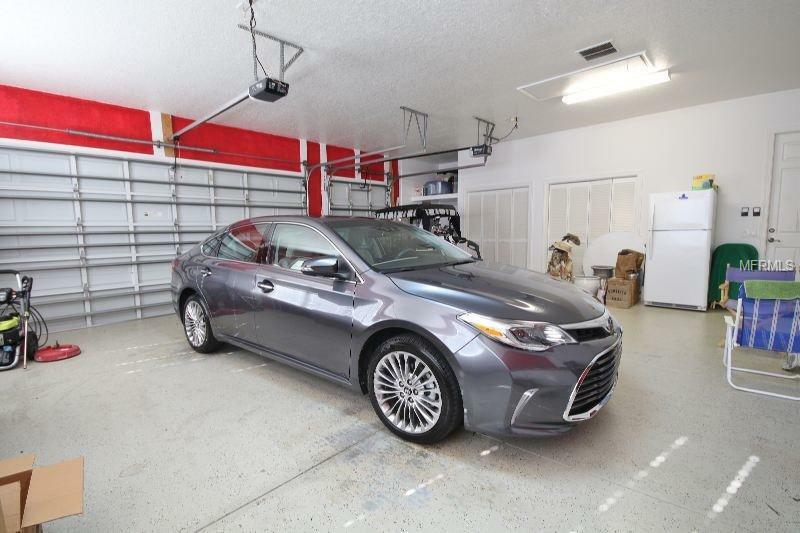 2 AC units, 40-gallon hot water heater, oversized garage w/golf cart access, are just the beginning. 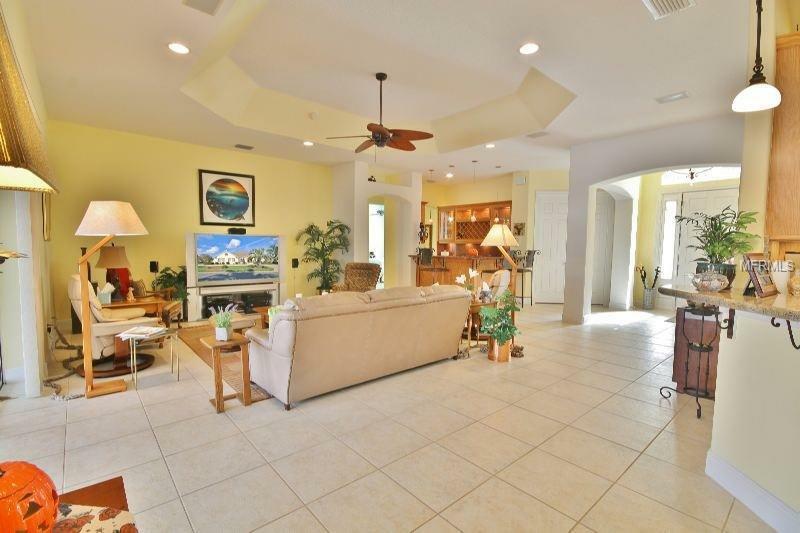 Living room has floor outlets, and custom electrical throughout, rounded corners in all rooms, coffered ceilings and 8 ft doors in every room. 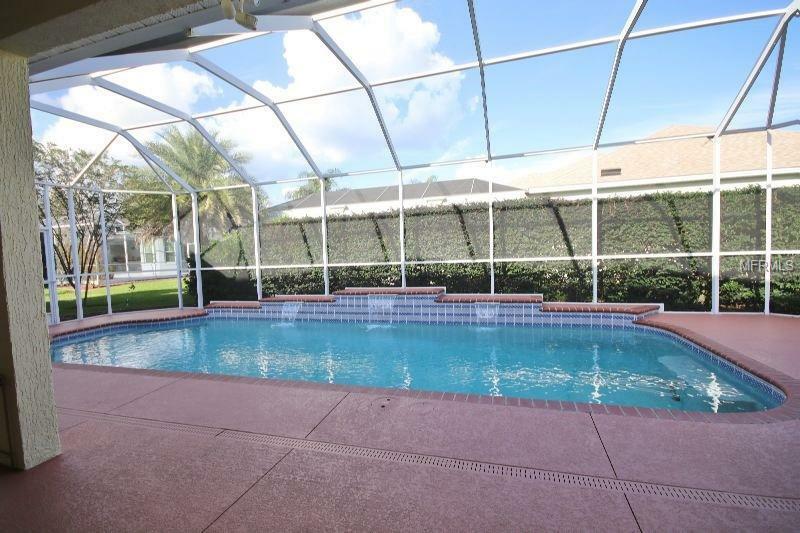 Surround sound system, custom air filtration system, and fabulous pool area with custom gas grill set up, waterfall, and exterior speakers. 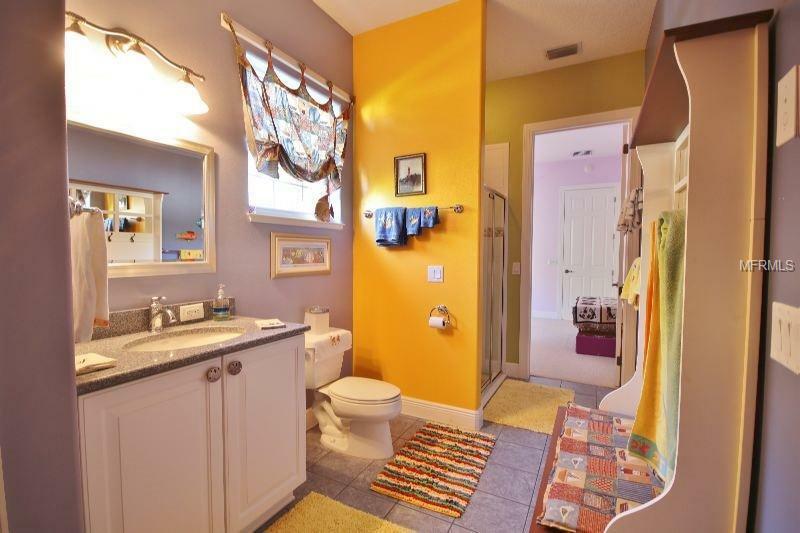 This is also a one owner home who has original plans. 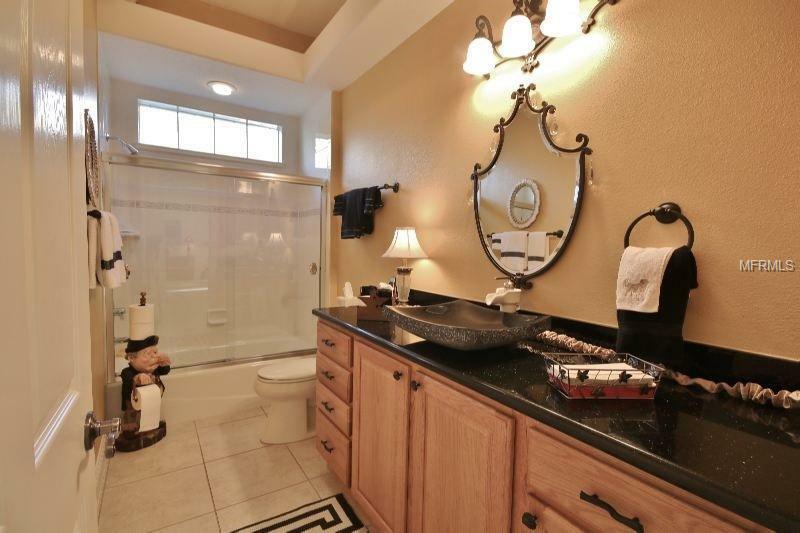 Come see this gorgeous Custom Premier home today!